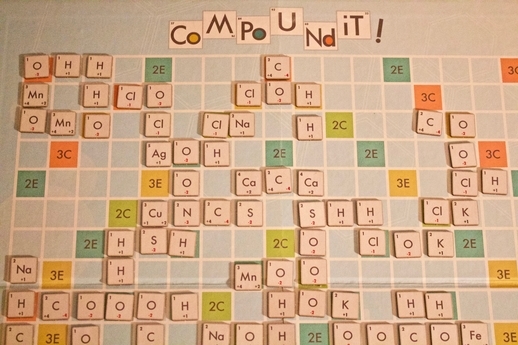 In CompoundIt!, a board game created by Minneapolis science teacher Andrew Lyman-Buttler, chemistry and Scrabble-like mechanics join hands to create a uniquely geeky experience. 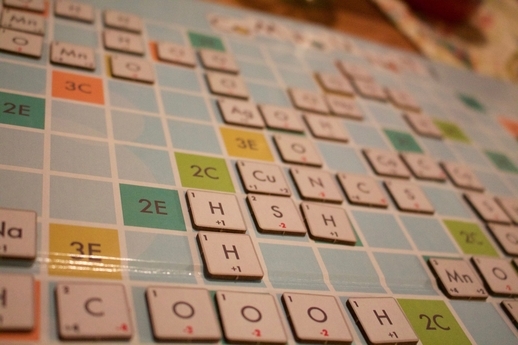 The game—which is running a crowdfunding campaign through May 2, 2018—is billed as a “chemistry formula word game in which the ‘letters’ are chemical elements and the ‘words’ are compounds.” It challenges players to build binary compounds and polyatomic ions on the board from tiles representing individual elements. Lyman-Buttler describes his game as a “great new learning tool,” but it undoubtedly can be much more than that. While it has immense potential in the classroom to benefit both students and teachers (the creator has been using it in his own science class for two years already), it can also hold appeal for anyone looking for a new board game to try with friends during game night. Recently, I tried out a prototype copy of CompoundIt!. As a teacher myself, I—like Lyman-Buttler—recognized the value the game could hold in the classroom, but while playing it, I also realized that it’s simply a fun game to play in any setting. I initially played it with my wife, a scientist, who also found a lot of enjoyment in brushing up on her basic chemistry knowledge while keeping me in check by making sure my ion and compound plays made scientific sense (and that the ionic charges would work). While she’s spread the word of CompoundIt! to several of her friends and coworkers, many of whom have already requested it at our next game night, I’ve also shared it with others outside of the education and science fields who have also found something to enjoy. Ultimately, it’s a game with a broad appeal. 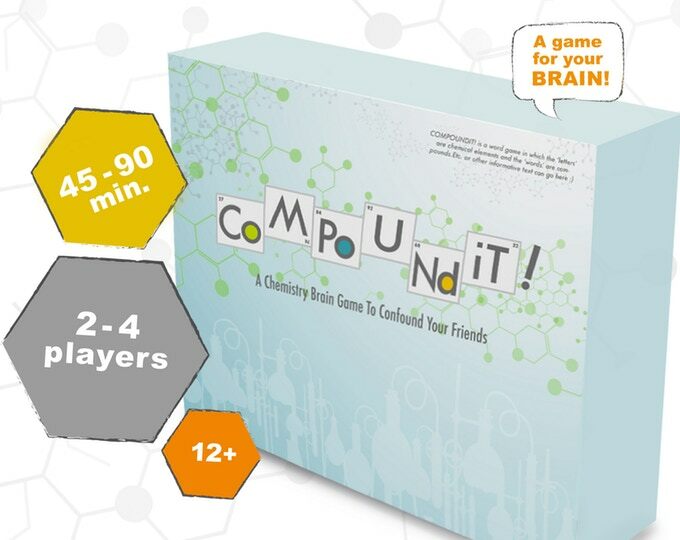 While I’ve been touting CompoundIt!’s appeal to just about anyone who wants to play it, it is still important to remember its original intent. Lyman-Buttler hopes to raise enough money to not only share the game with other board-game enthusiasts but also get it in the hands of as many teachers as possible. Research has shown that using board games in the classroom is beneficial to kids in many ways, from building social skills and practicing rule following to understanding logical thinking processes. As Lyman-Buttler points out, although “many chemistry concepts can be learned through lab work, some—like nomenclature and formulas—require practice by repetition.” For teachers, concepts that require repetition to fully understand often demand handing out worksheets or practicing memorization drills. These can be effective tools at times, but they can also stifle a student’s enjoyment of learning (and be a hassle for teachers to review and grade as well). This is why games like CompoundIt! can be so important to educators and students in a classroom setting. The Kickstarter campaign to fund the creation and distribution of CompoundIt! has a goal of raising $15,000 by Wednesday, May 2.